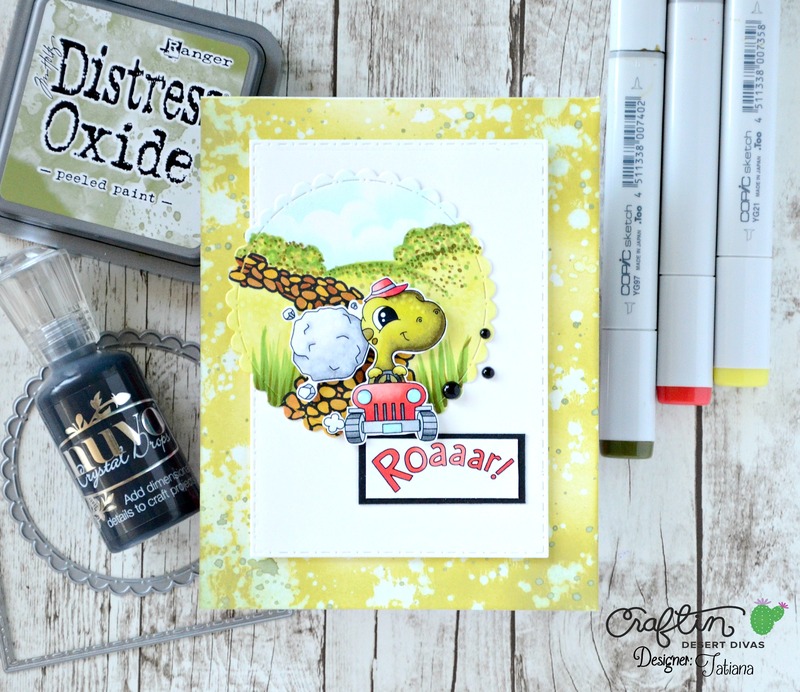 Today I’m sharing a project showcasing the fantastic Dino Dig stamp set from the new Crafting Desert Divas June release! Isn’t he darn cute this adorable dino dashing in his red jeep on my card in a perfect Indiana Jones’ style!!! 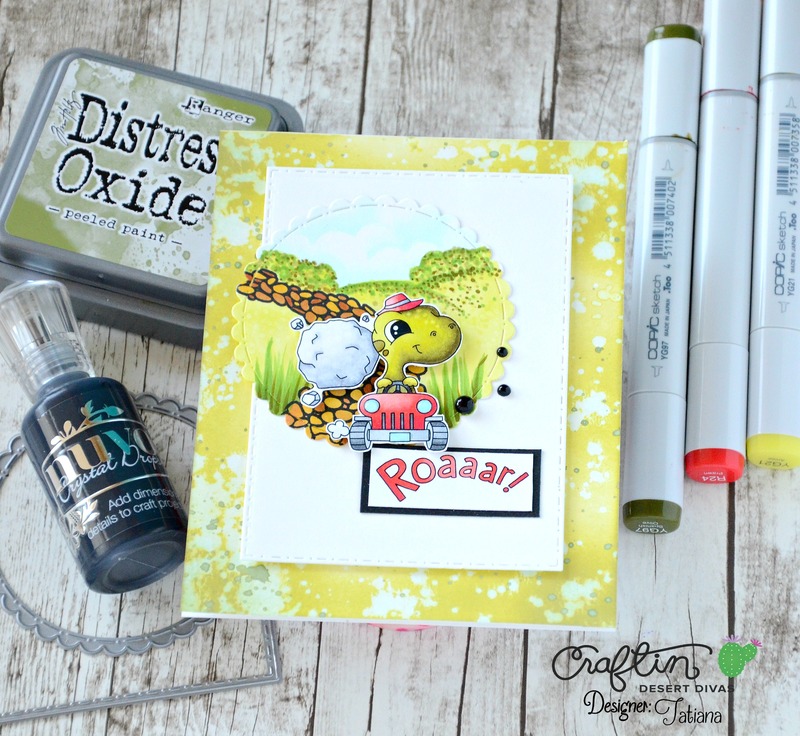 I built a little cute scene using a scalloped circle die-cut out of CDD Stitched In Circle Die set and some images from Build A Scene stamp set. 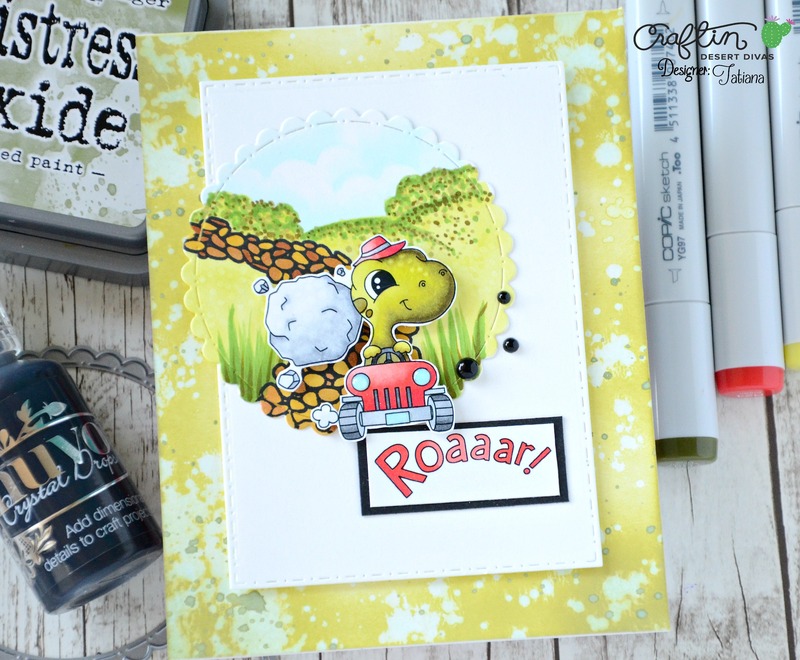 The cute dino was colored with copic markers (as always you can find all the exact colors I used here at the bottom of this post) and new Distress Oxide ink in Peeled Paint color applied directly to the card base matched perfectly the YG copic family I used on the main stamp. I’m leaving you with a brief coloring video, I shared a few days ago sneak peaking this card! That all for today! Hope you like this clean and simple card! As always thanks so much for stopping by! And please, check Craftin Desert Divas Event Page on Facebook for more inspiration, amazing projects and sneak peeks from the Design Team, freebies and awesome giveaways! 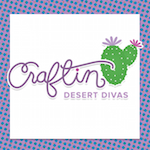 As a Design Team Member I’m affiliate to Craftin Desert Divas online shop. Where available I use their compensated affiliate links which means if you make a purchase I receive a small commission at no extra cost to you. I really love their products and enjoy using them. All opinions are my own. 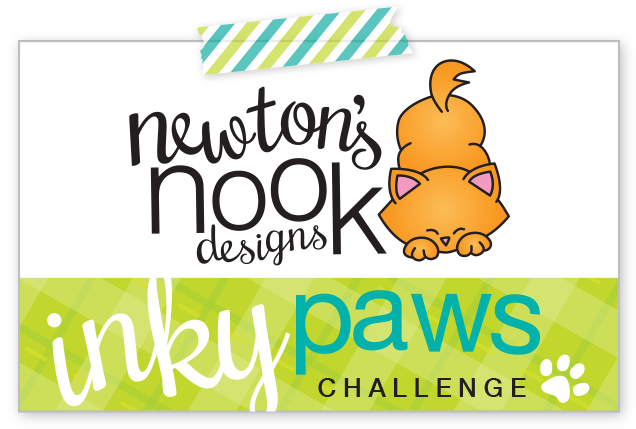 I truly appreciate your support and will use the money raised to bring you more crafting projects.